The Shu Uemura official website has been revamped with a new layout and the Boutique Birthday collection is also up on the website. 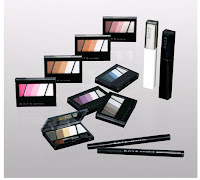 In addition, the prices of the eyeshadows are going up from 1 July onwards from 2100yen to 2300yen. 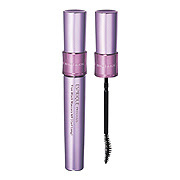 The eyelash curler price has also increased as of 1 June from 1050yen to 1260yen. 1. Cleansing Milky Foam - 125ml, 2625yen. A milky foam cleanser for dry skin. 2. Cleansing Smooth Foam - 125ml, 2625yen. 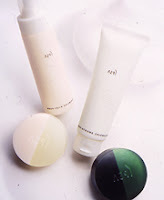 A foam cleanser which includes clay as an ingredient for oily skin. 3. Cleansing Fresh Cake - 100g, 2100yen. Dual layer soap for oily skin. 4. Cleansing Creamy Cake - 100g, 2100yen. Dual layer soap for dry skin. 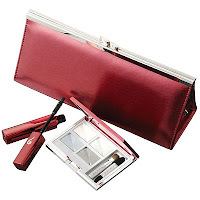 Tokyu department store's website has several skincare and makeup kits from the various Japanese brands listed here. The beige with pink floral print jewellery pouch is the GWP starting 1 June with purchases of 5250yen. 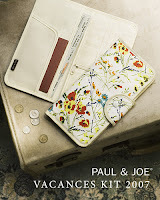 Just in time for my purchase of the summer pressed powders :-) The white floral print travel pouch is the GWP starting 1 July with purchases of 8400yen. 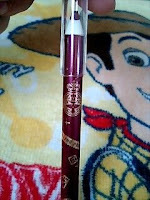 This is the kind of GWP that makes me wish I was into Anna Sui makeup! Measuring 40cm x 60cm, it is free with any purchase of 5250yen and above starting 7 June. I'd take this any day over yet another useless plastic makeup pouch! 2. Nail Color N S17 Bright Gold, S18Sunset Pink, S19 Hibiscus Orange, S20 Sea Green, S21 Golden Black. 1575yen each. 3. Lip Jellee S11 Rose Coral, S12 Golden Orange, S13 Florida Gold. The July 2007 issue of More magazine (600yen) comes with a cute little Paul & Joe tote bag. The material is a lightweight vinyl, pretty decent quality. It's just the right size for a small novel, purse etc. The magazine focuses more on fashion than makeup. 3. Nail Polish #83 Pink Raspberry, #84 Tropical Mango, #85 Shiny Yellow, #86 Kiwi Green and #87 Marine Blue. 315yen. 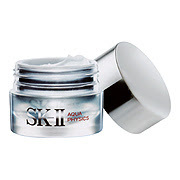 SKII will be debuting a new series Aqua Physics that will be priced under 10,000yen and targeted at the 20s-30s age group. There will be an Aqua Physics Serum (40ml, 9450yen) and Aqua Physics moisturiser (50g, 9450yen) debuting on 21 June in Japan. These cost about 1/3 less than the regular SKII range. Aqua Physics Serum is supposed to be used after cleansing your face and before moisturiser. 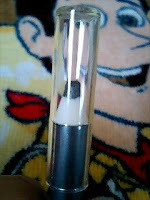 Pics of the new MM Jewelling Pencil eyeliners which will be available in 10 shades, 735yen each. Launching on 21 July with the fall collection. Pics of the Kiss nailpolishes due out on 22 June that I had posted about earlier. Cineora is a Korean brand that is also sold in Japanese drugstores. 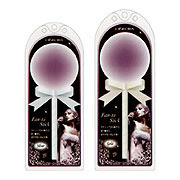 Actress Fantastic is a powder puff that contains a shimmery powder that can be used on the face or body. Priced at 1260yen, it will be available in 2 shades starting 1 June in Japan. (4) Using the brush, lightly brush the top right metallic silvery blue over the whole lid for additional sparkle. It also helps to make the different colours look as though they have been blended seamlessly for a more polished, elegant finish. I loved the colours in this palette which worked very well with my MAC NC20 skintone. I usually avoid dark navy or blues that are too ashy or dull as these make my eyes look bruised and tired. Blues with lilac or lavender tones and a silvery shimmer such as the shades in the Awake palette are more suitable for my skintone. You can also layer the darker shades for a more dramatic look. The eyeshadows lasted very well on me for more than 8 hours despite it being a hot summer day and my skin oiling up like crazy. At the end of 8 hours, my face was drenched in oil as I had not bothered to blot but my eyeshadows remained almost perfect! There was no fading at all and the eyeshadows looked as shimmery as when I first applied them. There was only a bit of creasing at the inner corners of my eyes. Now I can't wait to get the E-4 palette next weekend! The Awake palette costs quite a bit more than the Aube or Testimo palettes (usually 2572yen after 30% discount at the drugstore) but the blue palettes from the Aube Jewellery Shower Eyes and Testimo Frame Impact Eyes series never appealed to me that much because the blue tones just looked a bit off on my skintone. Awake is a high-end department store brand by Kose. Aside from Japan, it is also sold in Taiwan, USA and the Philippines. In Tokyo, Awake is available at Isetan department store in Shinjuku, Tokyu department store in Shibuya station, Matsuya department store in Ginza and Seibu department store in Ikebukuro. Just completed a major project at work successfully today after a very long and stressful week so I headed for Shinjuku to pick up the MAC Showflower quad which is exclusive to Isetan department store in Japan. After that, I wandered over to the Awake counter and ended up hauling the Awake Lip Lacquer Stardom #5 Lavender Mauve (2940yen), a super shimmery berry mauve, and Awake Reflectance Eye Stardom E3 Always Blue (5040yen). I had been using my Jill Stuart Brilliance Eyes palettes for the past two days and while I still love the shades, some micro glitter particles fell on my cheeks as the day went by so I was looking for a palette that had rich shimmery shades but with a more velvety, less powdery texture. The Awake eyeshadows felt great when I swatched them. And finally, the Majolica Majorca Little Black Book that I had bought at a Yahoo auction arrived in the mail! Also reserved the limited edition E4 Mint Frost palette from the "Magnificent Sky" summer collection which will be released in Japan on 2 June :-) Isetan department store is also offering an exclusive kit which includes the palette and an Isetan-exclusive All Direction Mascara Stardom X1 (a greyish green) with an original red clutch bag for 8190yen. The Aube summer collection testers were out in the stores today. I also picked up the new pamphlet which I've scanned below. The drugstore I went to was taking reservations for the collection and if you reserved one item, you get an Aube pink terry cloth handkerchief studded with some crystals; if you reserved two items, you also get a beige makeup pouch (not that exciting) so I reserved the Jewellery Shower Eyes #36 Pink and Mix Veil Cheek 811 Rose. The collection is expected to arrive in the stores on 26 June (although the official release date is 4 July). The #36 quad is quite different from #34. The shades in #36 are sweet cotton candy pastel pinks whereas the shades in #34 are darker and more plum toned. The darkest shade in #36 is a medium pink whereas the darkest shade in #34 is a dark pinkish burgundy. The new Mix Veil Cheek comes in the same compact packaging as the Jewellery Shower Eyes which for me is great because then my collection looks much neater! I also tried out the new Loose & Line Eyes but was not impressed with these. The eyeliner has a a pointed rubber (?) tip instead of the usual brush and the testers all seemed to get gunky easily. Application was also not as easy as the typical slim brush applicator. The loose eyeshadows were too sheer for my liking and the rounded applicator was also not the easiest to work with. The new Rouge Aqua Dress lipsticks were ultra glossy and moisturising with fairly good color payoff. My favourite was RD530 Glace Rose. 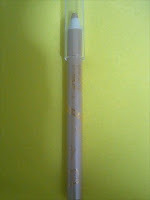 4. a new shade of the popular Powder Gel Eyeliner, 1575yen. The gel eyeliners series have been a big hit in Japan with over 500,000 sold in just 1.5 months after they were released. 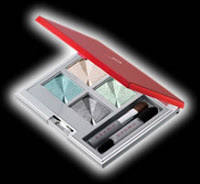 The Gradical Eyes S palettes each include a pearl cream base and 4 gradational powder shades. Lavshuca's fall collection will feature a new liquid lipstick series, Color Conc Rouge (10 shades) in a click-twist packaging as well as a new eyeshadow palette series., Grade Color Select (6 shades). The new liquid lipstick is supposed to be both glossy and longlasting. The collection will also feature a Slim Line Liner (liquid liner, 1 shade), 2 new shades of the Jewel Lips mini lipstick and 1 new shade of the Eye Color Select (the e/s quad with the heart shape pans). Due out in Japan on 1 August! Cosme.net has listed a new Kiss nailpolish collection debuting 22 June. It will include 5 shades of Nail Decoration (nail polish with a very thin brush) and 3 limited edition shades of Nail Enamel RS in #6 Mermaid Dress, #7 Fish Tail and #8 Goldfish. Both will retail for 630yen. More pics of the Esprique Precious collection coming out on 16 June. Oh, do check out the updated Maquillage website for the new collection. You can also watch the new commercial at the "CM"section. 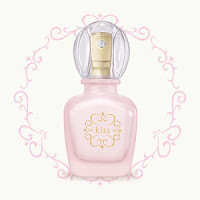 Kiss will be releasing its first eau de toilette, Angel Kiss (30ml, 2310yen) on 30 May. It is a fruity floral with topnotes of cassis, grapefruit, apple, peach; middle notes of rose, carnation, freesia; and base notes of white musk and amber. I went by the JS counter today to reserve the Brilliance Eyes #5 palette. It is quite pretty in real life but I was disappointed that the blue shade is virtually identical to the blue shade (second from left) in the #2 Crystal Jade palette. They look identical in the pan. When I swatched them side by side, I could only detect just a slightly more blue tinge to the blue shade from the #5 palette. Now, surely it couldn't have been that difficult just to mix up a new shade, right? The mauvey pink shade is different from the pink shades in the other existing palettes while the black shade is a true smokey black without the midnight blue tinge of the black shade in #2 Crystal Aqua. In the photos of the swatches, the first column of swatches of the Brilliance Eyes #5 palette is done using Eye Jelly #18 as the base. 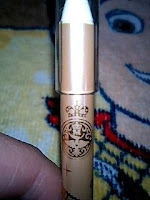 The new Lip Lustres were nothing unusual and looked like they would apply mostly sheer with just a tinge of colour. Eye Jelly #19 Amethyst Mauve is a stunning silvery taupe, like a slightly lighter version of Shu Uemura ME945. Aside from the Brilliance Eyes #5, this is the other must-have from this collection. I have no idea why it's called Mauve as I can't see any mauve or purple tones in it. Eye Jelly #18 Ice Blonde is an icy metallic white shade. The nailpolishes are a total disappointment. 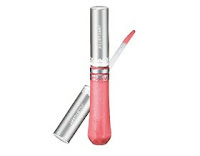 #36 Sweet Pink and #37 Peach Cream apply so sheer that I couldn't see any colour at all. These are useful for a basic French manicure but seriously, why would I want to pay 1575yen for a sheer nailpolish that applies without any colour? #38 Ivory Frost, #39 Ruby Spark and #40 Gold Glaze are chockful of chunky glitter bits. Loved the Lunasol summer palettes so much that I went back to the Lunasol counter today and did some more damage :-) I got the Skin Modelling Eyes #2 Beige Orange and Scent Form Eyes #4 M Gold and #5 Chocolate Cosmos. Those darn counter lights just make everything look so sparkly and pretty. Will review these after I try them out! The SA also told me that the autumn collection will be released on 17 August with reservations starting in early July. Yay, just in time for me to do one last haul before I leave. Although the new palettes will be permanent, they are expecting quite high demand for these and hence, she advised me to reserve them early. Didn't get to see any pics of them though. 4. Jewellery Shower Eyes #36 Pink, 3675yen. The new #36 pink eyeshadow palette is a mix of soft plum, baby rose pink, pearly cream beige and a cream base shade with white gold iridescence. The Mix Veil Cheeks include a "Color Blush" and a "Pearly Blush". The Pearly Blush is meant to help create a more luminous finish while the Color Blush is for a more natural pop of colour. 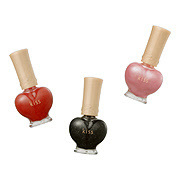 It comes in 811 Rose ( for a "feminine" look), 812 Orange ("fresh, cute") and 813 Red ("natural"). 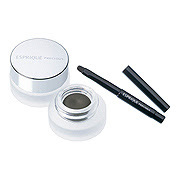 The loose eyeshadow in the Loose & Line have olive and camomile extracts as moisturising agents. According to the instructions on the website, the loose eyeshadow should be applied first before the eyeliner. 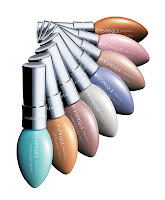 The colour range for the looose eyeshadows are the usual pastel shades typical of Japanese brands while the eyeliner shades look more promising. 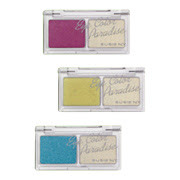 Eye Color Paradise (1470yen) is a new limited edition series of eyeshadow duos from Susie NY to be released on 25 June. Doesn't look too exciting as there's the useless repetition of the shimmery base shade in each duo. Wish they would put out new quads instead! There will also be 5 new nailpolishes. Tried out the 2 new Skin Modelling EX01 and EX02 palettes over the past two days and I must say, they truly rock! Both palettes were very wearable and flattering on my MAC NC20 skintone. I hate it when palettes contain only one or two shades that I really like while the rest are throwaway, blah colours, or the colors clash too much with one another. It is really rare to find a palette where every shade just makes you go 'wow' rather than 'eh' after trying it on. In the two Lunasol palettes, every shade is pretty on its own or combined with the other colours in the palette. The colour payoff is excellent and the eyeshadows lasted all day on me with very minimal fading and nothing falling on my cheeks. The included applicators also get the job done well. The sponge-tip applicators make application a breeze as they help to pack on the colour for greater intensity while the brush end can be used for a sheer finish. EX01 Beige Bronze has a very pale gold-tinted white shade, an intensly shimmery medium gold shade, a light tan hazelnut shade and a chocolate brown shade. What I liked about this palette is that the colours apply true to how they appear in the pan. The problem that I have with many dark brown shades is that when applied, they look almost black and too severe on me but the chocolate brown shade in this palette shows up as a rich brown shade. The gold shade is excellent for adding a touch of sun-kissed glamour but at the same time, it's not too loud or messy to apply. It's not too yellow or too orange-toned, so it works great on me. The white shade is a good base and highlighting shade while the hazelnut shade goes very well with the dark chocolate shade if you want to create a gradational effect. 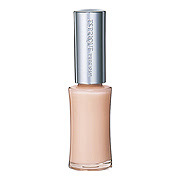 I wore this with Jelly Eyes EX02 Sheer Bronze as the base and it lasted very well over more than 8 hours without fading or creasing. The Jelly Eyes is very sparkly so you have to be careful not to gob on too much at the beginning as you only need a tiny little dab for each eyelid. It dries down quite fast without any oily residue. EX02 Beige Cool has a shimmery white shade, an intensely shimmery metallic baby blue shade, a light beige with gold sparkles and a dark midnight blue shade with light blue sparkles. As with EX01, I was delighted to find that the dark navy shade did not apply too severe or blackish on me. The baby blue shade is great for adding a pop of colour and it's not too light that it looks like just plain white shimmer once applied. 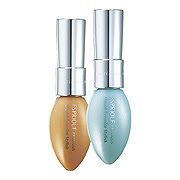 Both shades also work very well when used to line the lower eyelid. After applying the eyeshadows, I did have to wipe away some micro sparkles that had fallen on my cheeks but these were quite fine, not big chunky glitter bits. 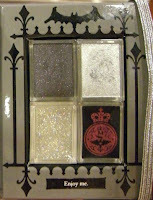 You can create a lovely smokey eye with this palette or go lighter on the dark navy shade for a fresh, fun summer look. Lunasol is releasing a big collection for fall in August. Instead of their usual eyeshadow quads, there will be a new palette series with 5 shades in each palette. 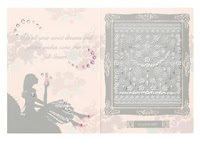 The palettes reportedly have gemstone-themed names and come in pink, blue, brown, silver and gold. 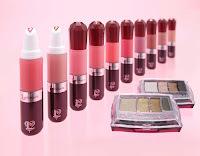 The collection will also include 5 new shades each of lipgloss, lipstick, eyeliner and nail polish. Can't wait! The JS website has been updated with the Summer Night's Angel collection! I think this must be the prettiest promo image from JS to date. Even though it's probably airbrushed to death, it just looks so gorgeous althought I must say that I actually like the soft wavy hair more than the makeup which looks just alright. The only thing I really dislike about JS (aside from some of their snooty SAs) is when they release limited edition collections with insufficient quantities to satisfy customer demand that you either need to rush down to the counter on the first day that they start taking reservations (because it's impossible to get through the phone lines) or queue up before the store opens on the day that the collection goes on sale. Even though JS has been opening up counters in Tokyo at quite a rapid pace, I just don't understand why they don't make the new items permanent, earn more profits and most importantly, make it easier for everyone to be able to buy their products instead of artificially inflating demand for one stupid day. Japanese women go so ga-ga for anything that JS puts out. Even when it's ridiculously overpriced, like the lipglosses that came in the tiny square compacts last Xmas, they buy it anyway for the princessy packaging. Makeup companies should be treating their customers much better than this!